We're excited for a special night of soul music at LOCKN' Festival! 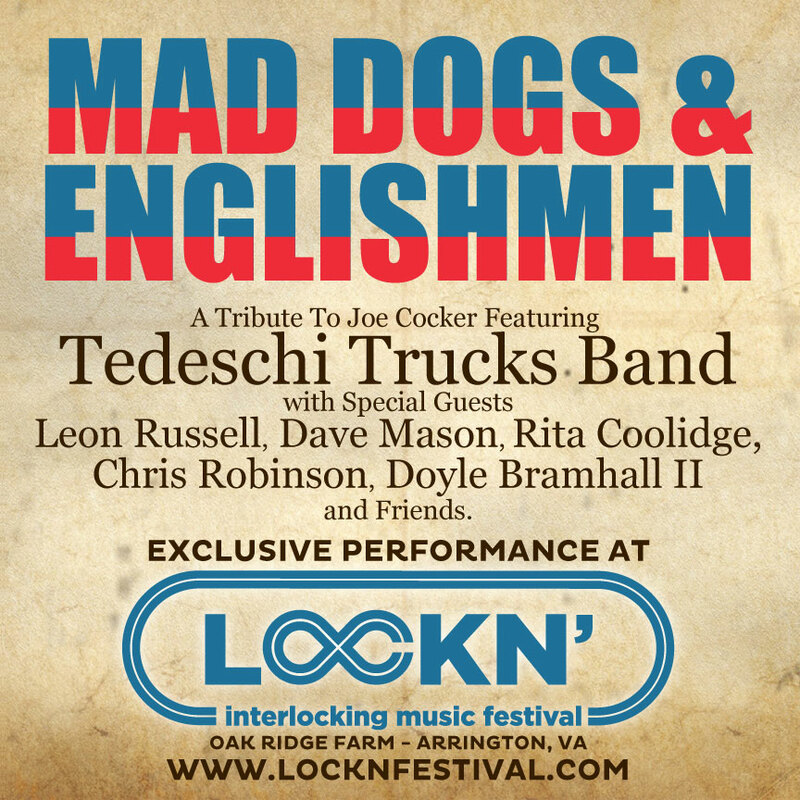 Catch our tribute to Mad Dogs & Englishmen featuring Leon Russell, Dave Mason, Rita Coolidge, Chris Robinson, Doyle Bramhall II and more. The festival runs from September 10-13 in Arrington, VA and will also feature a non-thematic set from Tedeschi Trucks Band (exact dates for both sets will be released later on).